Samsung Electronics has today announced its next-generation tablet, the Galaxy Tab4, offering a unique and vivid viewing experience for the whole family. 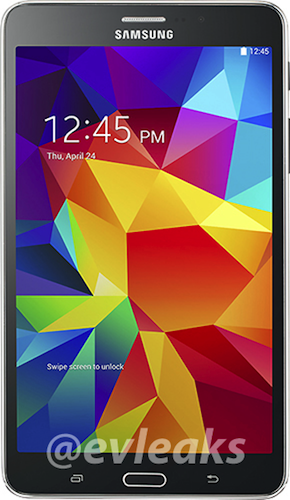 The Galaxy Tab4 has a premium look and feel combined with a lightweight and portable design. Available in 10.1-inch, 8.0-inch and 7.0-inch screen sizes, the Galaxy Tab4’s vivid WXGA display with a 16:10 screen ratio makes watching content even more enjoyable. Its Multi Window functionality means you can seamlessly switch between apps and windows, as well as drag and drop different content easily. The new Samsung Galaxy Tab4 line will be offered in a choice of Black or White globally beginning in April, 2014. UK availability and ranging will be announced in due course.